As well, this crossing will let you snorkeling in the reef area we will visit. 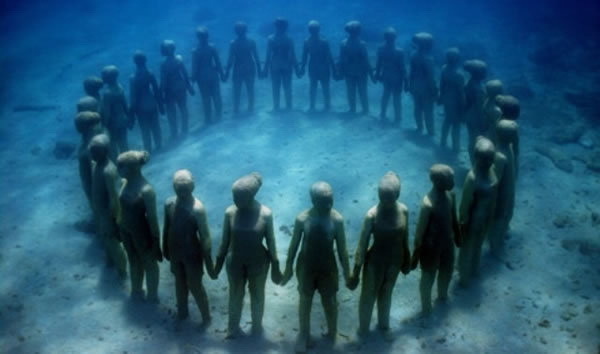 Definitely, this will be the best half-day tour for whole family and where everyone will have fun and learn about the sealife. 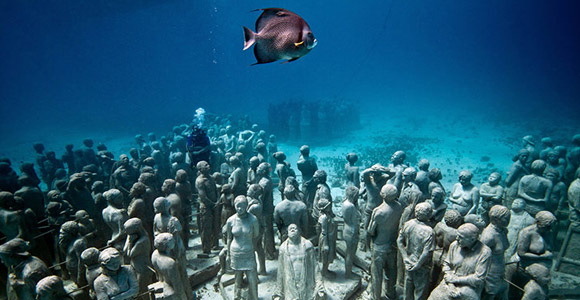 Cancun, Isla Mujeres, Manchones Reef, The Cross of the Bay, Underwater Museum of Art. Marina Cancun Km 15.5 Cancun Hotel Zone. -Professional Tour Guide during the activity. -2 hour 30 minutes crossing on board the Seaview. -Seat arround the glass bottom. -Bottled water and soft drinks on board. -Prices in U.S. Dollars (USD), subject to the exchange rate in Mexican Pesos (MXN). -Children from 0-5 years old have no charge. -Children from 6-11 years old have to pay child price. -Children from 12+ years old have to pay adult price. -The prices aforementioned do not apply for special events, neither for groups. -The prices and schedules are subject to change without notice. 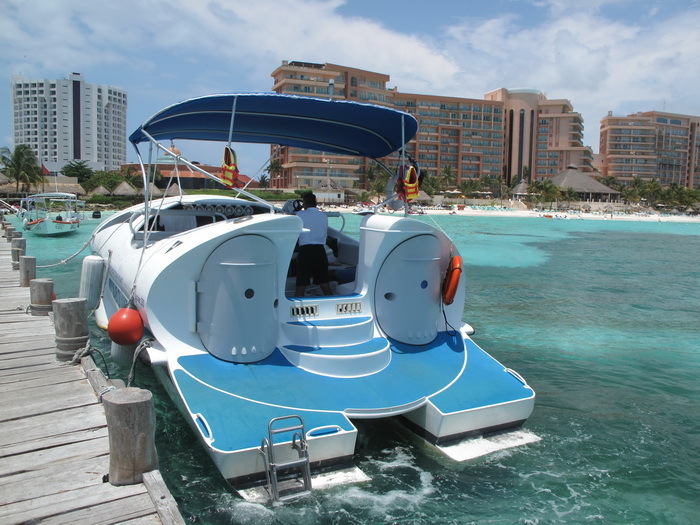 -The use pier fee is $7.00 USD per person (adults and children). This fee has to be paid on the check in time. 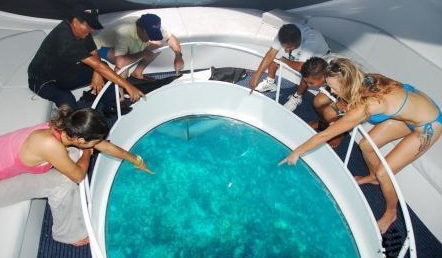 -The Marine National Park fee (for coral reef) is $3.00 USD per person (adults and children). This fee has to be paid on the check in time. -The gratuities for the crew are not included in the price. 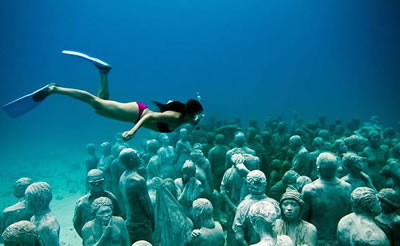 -The participants that will do the snorkeling activity have to know how to swim. -Be at least 30 minutes in advance in the location for the check in. -Wear comfortable clothes and footwear, swimwear and sunglasses. -Bring your photo or video camera for good memories. -Remember to use biodegradable tanning or sun-block lotion. -Keep cash with you to pay the additional fees and for gratuities.